I have decided to create a "special-themed day" for my blog...feel free to follow suit if you want. Saturday's will be a throw back picture....something from at least a year or so ago. I think this will be fun to take a look at the changes over the years. 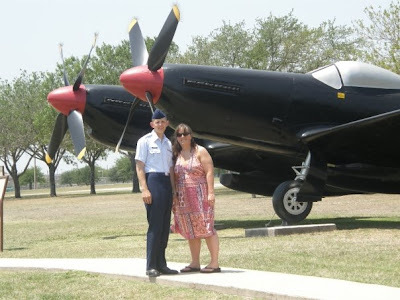 So today since I don't have many old pictures on this computer I will be sharing a picture from Sean's BMT graduation. I promise to get some older ones up in the coming weeks. If you decide to join me for Throwback Saturdays let me know!